With Readly you can read Chalk Magazine and thousands of other magazines on your tablet and smartphone. Get access to all with just one subscription. New releases and back issues – all included. 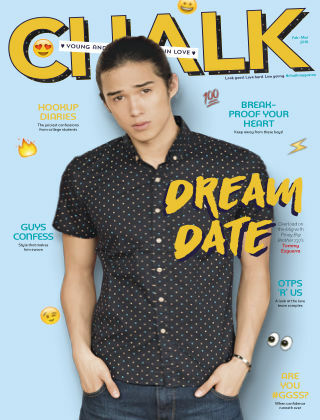 CHALK Magazine is the cooltimate guide to surviving and, most importantly, enjoying campus life. Check out real-life features and college activities (on- and off-campus! ), get to know inspiring young adults, and read about the best in fashion, beauty, and lifestyle, all in one magazine. It's everything you need and more—only in CHALK Magazine!